This Royally classy card is made from a khaki shimmer board and has a door fold with a beautiful damask floral gold foil embossed handle at the center of the main flap. 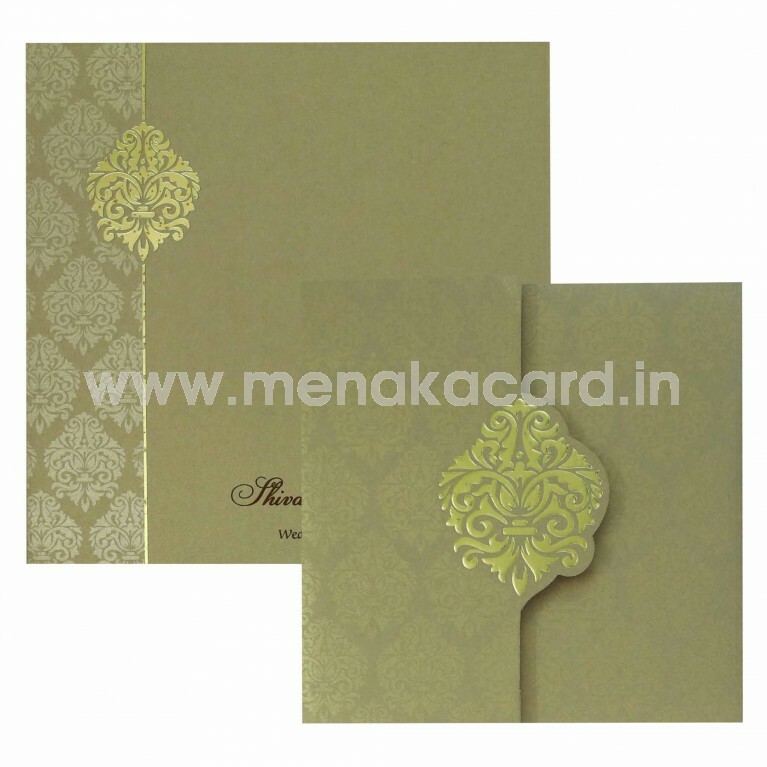 The design is replicated as subtle gold lancer prints all over the rest of the card. 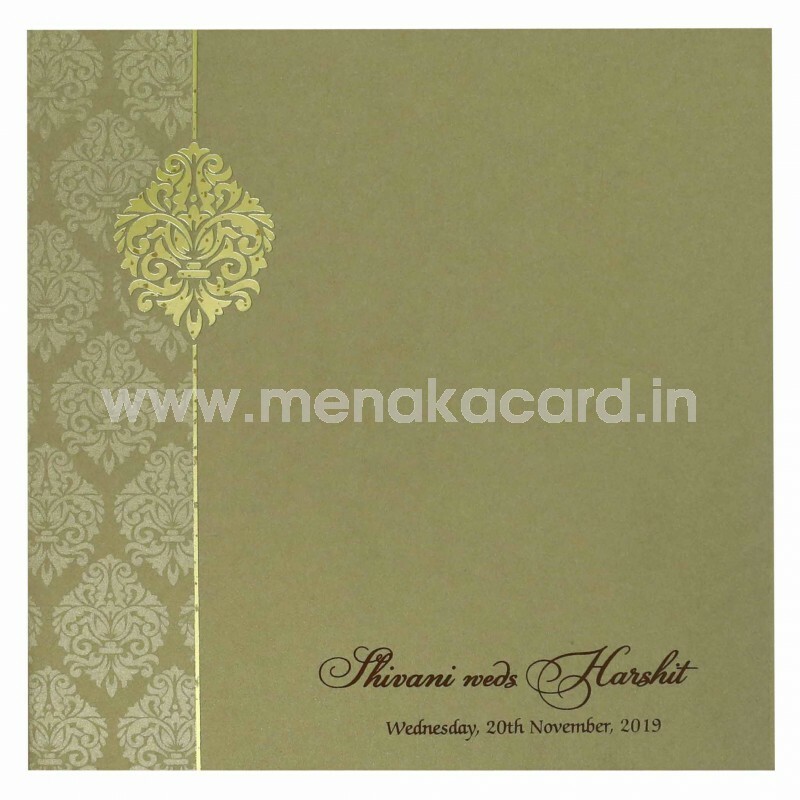 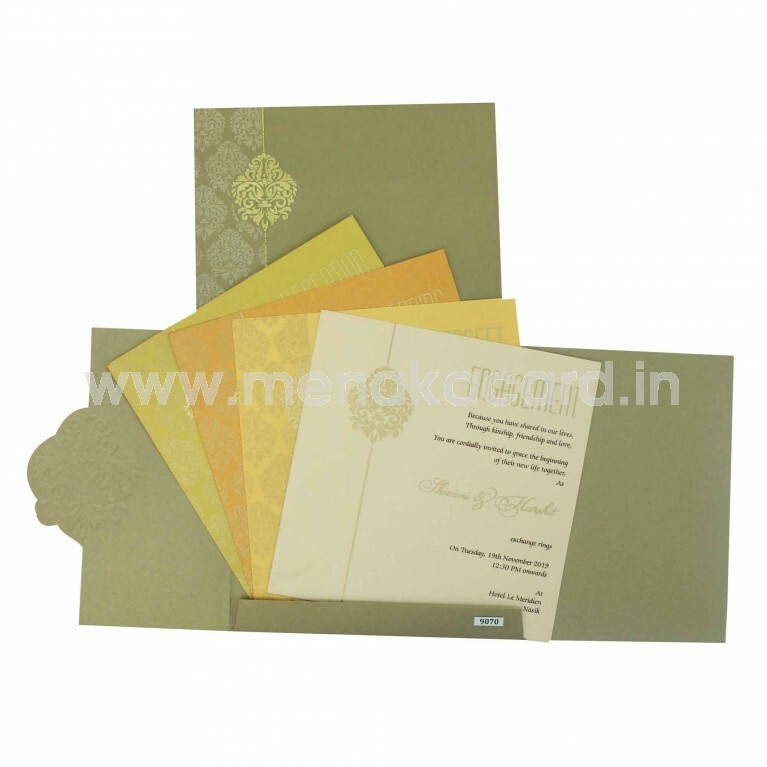 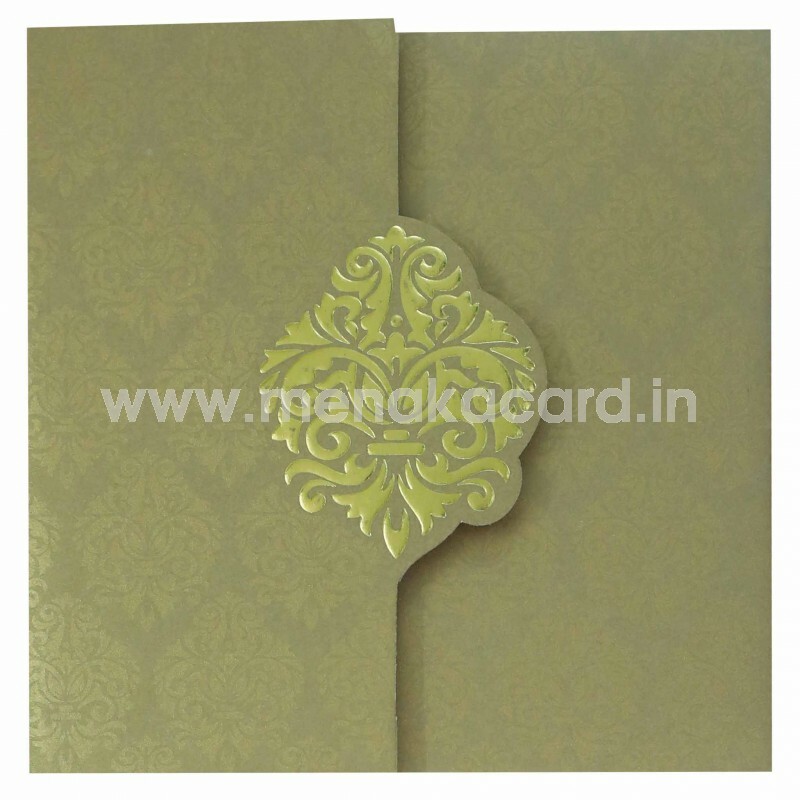 The insert of the card sit inside the flaps and comes with the four color options of cream, yellow, orange and mehendi green,all printed with the classy damask motifs design and content in virant gold ink. 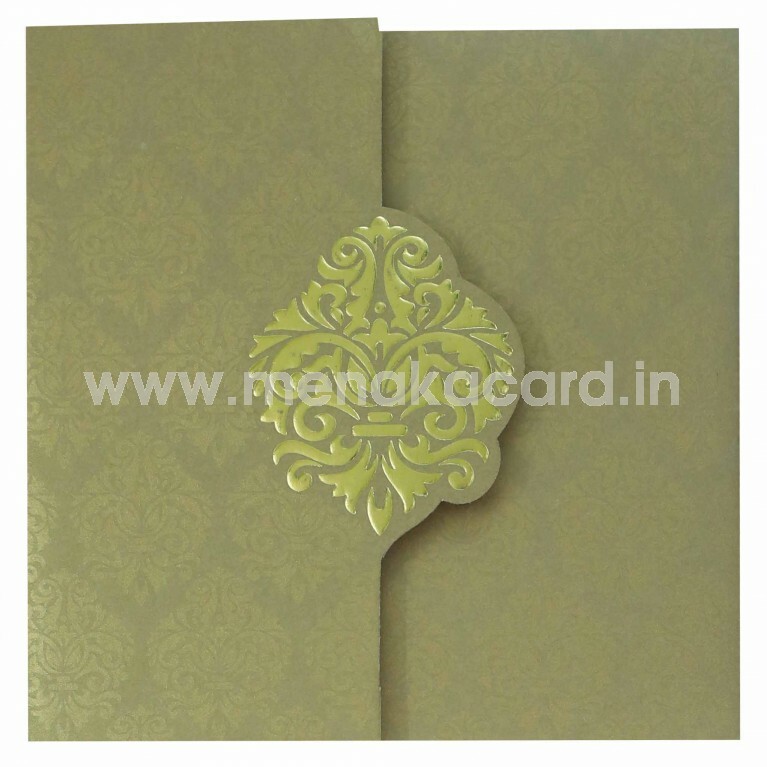 This can be used for Hindu and Muslim weddings and other ocassions that require grandeur.